I currently work as a Consultant General Surgeon in Northern Ireland. I have been working as a surgeon for well over 20 years and have previously worked across the UK and in the USA in the fields of general surgery and intra-abdominal organ transplantation. and a Diploma (with honours) in Clinical Education. In addition, I have undertaken many hours of personal study and workshops regarding man’s spiritual dimension. Furthermore, I have trained as a Sacred Esoteric Healing Practitioner with Universal Medicine and completed many hours of study of the Esoteric Healing Arts. In addition to being a Fellow of the Royal College of Surgeons, I am a member of the Esoteric Practitioners Association* and have full insurance coverage for Sacred Esoteric Healing as taught by Universal Medicine, which is a fully recognised complementary healing modality. It would be reasonable to say that my medical and surgical training has given me a good understanding of the human body, illness and disease as it is currently understood within mainstream medicine. My training in man’s spiritual dimension deepened my understanding of the human being and enabled me to develop a more holistic understanding of the factors contributing to health, illness and disease. It would be fair to say therefore that my dual qualifications in these fields mean that I am well equipped to discern what is valid and what is not when it comes to man’s health and wellbeing from a holistic perspective. I therefore have no hesitation in stating that based on my professional and personal experience and opinion, Universal Medicine is the world leader in complementary health-care in terms of its presentation of in-depth understandings of the factors that contribute to our ill health and how to heal them in a holistic way. I have absolutely no doubt whatsoever that the teachings and healing modalities offered by Universal Medicine could assist many people in the world and would be an excellent and invaluable collaborative partner with mainstream medicine. I say that, having been someone who was previously vociferously anti-complementary and alternative medicine, as many doctors are, and saw them as a waste of time and money. However, my own journey and experiences have shown me that I was ignorant and arrogant and thought that all the answers to our ills lay in science and science only. I now know that is not true and that there is much more to healing than just the physical body or even body-mind and, that there is a place for responsible complementary medicine that can work hand in hand with mainstream medicine. As a Fellow of the Royal College of Surgeons of Edinburgh and a member of the Esoteric Practitioners Association (EPA)*, it is interesting to note that for purposes of qualification and accreditation, I am called to live with a higher degree of personal responsibility and integrity by the EPA than I am by the Royal College of Surgeons, such are the exacting standards and ethical code established by the EPA. It would be true to say that many doctors and health care professionals would currently fall short of the requirements called for by the EPA code of ethics and adds further weight to my statement that Universal Medicine is the world leader not just in complementary healthcare, but in calling for a high degree of personal responsibility, integrity and ethical requirements by its practitioners. For example, as a member of the EPA I agree to not consume alcohol or other toxins because of their effect on my well-being and how that then impacts others and the quality of care I can provide. Yet in the medical world, doctors have a higher rate of alcohol addiction than the general population. What then is the quality of their presence and well-being at work and the effect of that on themselves and all who they interact with? I know from personal experience that it is detrimentally affected. This is similar to the report demonstrating that overweight doctors are less likely to give advice to or inspire patients with weight issues, providing further evidence that how we live every day impacts not only our own health but our ability to care for and inspire others. 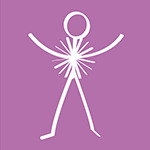 I first attended Universal Medicine in 2007. I had always been overweight in varying degrees (apart from a short time here and there where I slimmed down – only to put it all back on). Prior to attending Universal Medicine and Sacred Esoteric Healing Courses I had undertaken the above trainings as outlined and attended many other courses and workshops so I had a good grasp of what was ‘out there’ regarding holistic health and man’s spiritual dimension. At that time I was also disillusioned with my surgical career – I was burnt out, I was overweight, ate everything and anything, and episodes of frustration or anger were a frequent occurrence. I was allergic to chemicals in shoes that meant my feet were often a mess due to sloughing skin, ulceration and inflammation. This had been an ongoing problem for many years. In addition, I had intermittent eczema and was suffering from episodes of biliary colic due to gallstones. As a result of attending Universal Medicine presentations and receiving the Esoteric Healing modalities and addressing my personal issues along with the love and support of Serge Benhayon, I have managed to continue with my surgical career. I have acquired skills and techniques that help me to cope with the stresses and strains of a demanding job. As a result of healing and taking greater responsibility for my dietary choices, I have lost 3-4 stone in weight and for the first time in my life I am maintaining a weight in the normal range for my height. I am much more centred emotionally (something that some work colleagues have also noted) and have much greater joy and well-being. My feet are completely healed and I can wear whatever shoes I choose without reaction and I infrequently have skin eczema. I have had my gallbladder removed surgically in recognition that the optimum form of healthcare is one that combines both mainstream medicine and complementary medicine – recognising that they are addressing different needs within the patient and that both are well needed by humanity today. In summary, my personal health and well-being have improved considerably since attending Universal Medicine presentations as outlined above. This has been due to a number of factors. The teachings of Universal Medicine encourage personal responsibility towards healthcare and lifestyle choices. They present understandings that get to the root of many issues that people have to deal with and in doing so the issue gets healed instead of medicated or a temporary Band-aid applied. This has been my personal experience and thus health and personal issues that had been unresolved for many years are now resolved. These types of issues are not well–addressed by mainstream medicine and thus a true complementary form of medicine is necessary. Sacred Esoteric Healing simply taught me how to reconnect to my true self and from there I was able to make the changes in my own life. Universal Medicine and the Esoteric Healing modalities have led me to have a much greater level of personal responsibility than I have ever had before. I am much more aware of how my presence, interactions and choices can affect others as well as my own health. Having been a ‘searcher and seeker’ for answers to life’s big questions for a few years before attending Sacred Esoteric Healing sessions and Universal Medicine presentations, and explored all the major traditions, I have no hesitation in stating that for me personally what Sacred Esoteric Healing and the Universal Medicine philosophy presents is a way to understand life and all that happens in it, in a way that makes sense and that when lived makes a true and lasting beneficial difference not just in my life, but this has been repeated in many people’s lives. The before and after photos speak for themselves in showing the difference healing and taking personal responsibility can make. Finding the teachings offered by Universal Medicine and the Sacred Esoteric Healing modalities have been the greatest blessings and without which I would not be where I am today in terms of personal health and well-being, inner peace, contentment and joy. Nothing or no one can take that away from me. I know the teachings are true because I live them and I too was once a die-hard medic who saw absolutely no place for any form of complementary healthcare within medicine. I now see that I was blind, arrogant and ignorant in many ways at that time and, despite a medical degree, I did not have a full understanding of the human person. It is thanks to Universal Medicine, Sacred Esoteric Healing and my personal experiences that I now have a deep understanding of the human condition and can see the true role for complementary healthcare alongside mainstream medicine. There is an ancient saying: “Physician Heal Thyself” – it is absolutely thanks to Universal Medicine and Sacred Esoteric Healing that I have been able to do just that and can now share what I have learned with those who are willing to listen. I have experienced Sacred Esoteric Healing, Chakra-puncture, Esoteric Massage and Esoteric Connective Tissue and Esoteric Breast Massage. At all times I have found the practitioners to be highly caring, ethical, responsible, gentle and display the utmost professionalism. Each of the modalities works in a different way on the human body and all have assisted me with healing and to have a deeper connection with myself and in doing so have empowered me to make more caring choices regarding my own health and well-being. I can feel the difference in my own body before and after the session – I do not need a research study or test that tells me that. I feel it and I know it in the same way that one knows one has a hangover after drinking alcohol – except in this case, the effect is beneficial and not harming. Mainstream medicine is great but it too has much to learn – workers are exhausted, demotivated, stressed, burnt out and a ‘crisis in caring’ has been identified. I have no doubt that if healthcare workers lived the teachings and presentations of Universal Medicine, all of these things and more could be turned around, resolved and revolutionised. In my opinion, Universal Medicine is the world leader in complementary healthcare and in-depth understandings of the human being from an energetic and holistic perspective. It is also the world leader in terms of establishing responsibility and integrity in one’s personal life as part and parcel of one’s professional life in recognition of the fact that how we live every day, every choice we make, comes with us to the work place and impacts our professional capacity. The understandings and healing modalities offered through Universal Medicine and its practitioners have beneficially transformed my life and enhanced the lives, health and well-being of many hundreds and hundreds of people across the world and has the potential to transform countless more. As a caring Surgeon with over 20 years experience in healthcare it is clear to me that the understandings offered by Universal Medicine and Sacred Esoteric Healing are well-needed by humanity today, given the current levels of illness and disease and discontent across the globe. *The EPA is a branch of Universal Medicine. It was instigated by Universal Medicine to monitor and accredit the modalities that were founded by Universal Medicine.